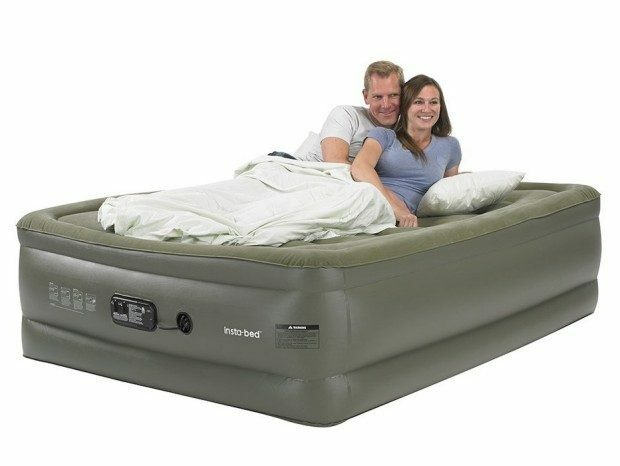 Insta-Bed Queen Raised Air Mattress with Built-In Pump Just $46.77! Down From $140! You are here: Home / Great Deals / Amazon Deals / Insta-Bed Queen Raised Air Mattress with Built-In Pump Just $46.77! Down From $140! Perfect for the Holidays or for camping! Head over to Amazon and get this Insta-Bed Queen Raised Air Mattress with Built-In Pump for Just $46.77! Down From $140! Ships FREE!